August 6, 1986 Broderick Terrell Battle was born to Pastor Dr. Rickie R. Battle and Elder Gertrude (Trudy) L. Minor. Broderick Battle is the eldest of three siblings, Brandon M. Battle and Brittany R. Battle. At the age of 9 he was called to preach the gospel and soon after began teaching for local and national Sunday school departments, vocational bible schools and YPHA’s (Young People’s Holy Association). It was during that time the burden of the work of the Lord was placed upon him, and at the age of 11 he was licensed a junior deacon in the United Holy Church of America. The following years the voice of God intensified in his life, and at 16 he preached his initial sermon and was licensed as Minister at Mount Calvary United Holy Church of Washington, NC. 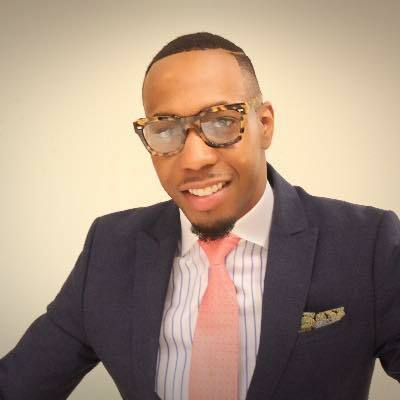 Broderick Battle is the founder of Broderick T. Battle Ministries Inc. and in 2014, ended his 2 year tenure of serving as Associate/Youth Pastor to Bishop Joseph M. Showell at Gospel Ark Temple Bibleway Church, Washington D.C. Upon the leading of the Lord and much prayer; Prophet Broderick Battle in January 8th, 2017 founded and established a community of Christian believers called The Tree Church of Life Inc. & the soon to come Church Of Life Indemnified Network all under the guidance and tutelage of his pastor Her Eminence Bishop Iona E. Locke Th.D, D.D, Primate/Presider of the Christ Centered Ministries Assembly. Through the years God has anointed him to declare and proclaim the works of Him who is Eternal. “Indeed, the Sovereign Lord never does anything until he reveals his plan to his servants the prophets” (Amos 3:7). With this in mind Broderick Battle believes the revealing plan of the Eternal, is produced to provide strategic means to build the community. Ultimately motivating today’s generation to believe the plan, purpose, and promise of God concerning their lives. Broderick Battle is an emerging revelatory voice who has been established to unsettle and unseat the workings of the evil one. Changing live's by causing unbelievable social and economic changes in the economy of today’s church and government.